After years of saying them, words in your native tongue aren’t as cool as they once were. Some words just sound better in another language. Why not learn cooler lingo with Duolingo? Placed in grocery stores like Trader Joe’s and Kroger’s, these signs will be placed right next to its English equivalents. They will change regularly so customers will get to experience more ways to say their favorite foods. 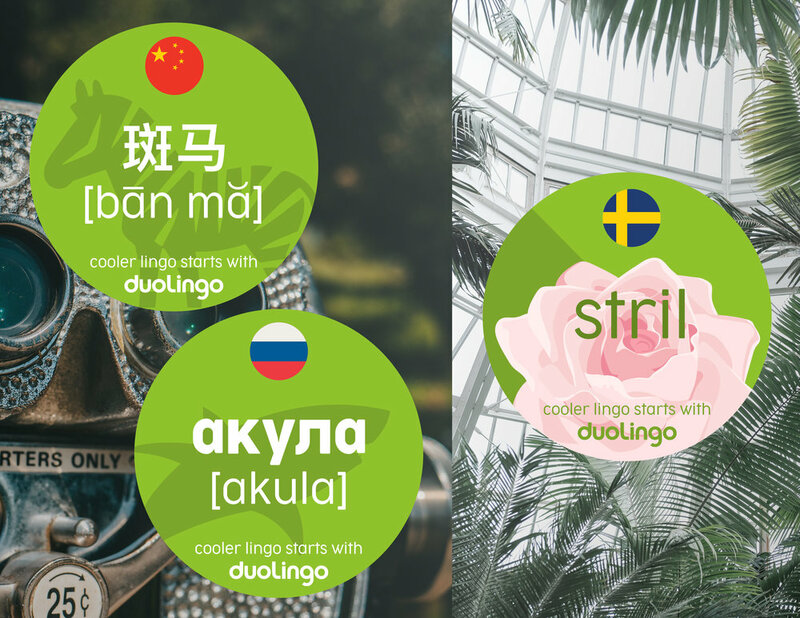 Duolingo will also place “flashcards” in popular tourist areas such as the Bronx Zoo and the New York Botanical Garden. Duolingo will create cooler lingo crosswalks. 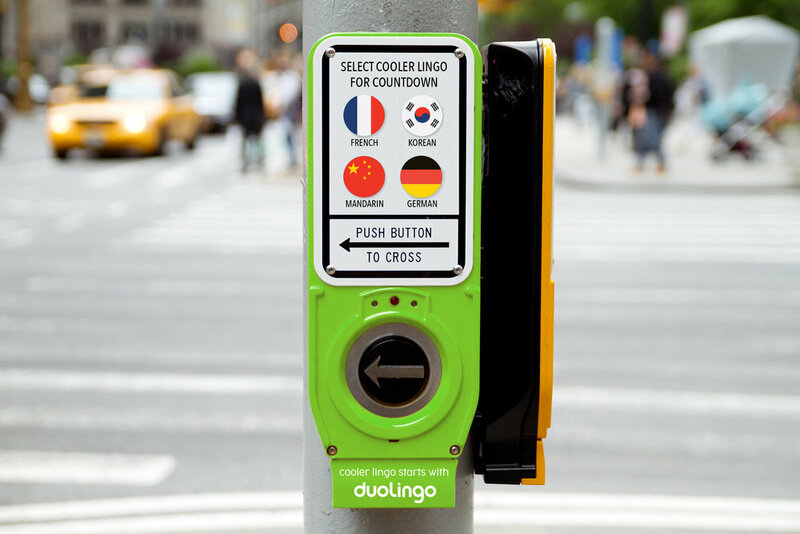 At each pole at an intersection, users will be able to select four different languages to be spoken while the crosswalk countdowns with numbers. Duolingo will sponsor the month of September in the planner NYU students receive when they start school. These pages will help them learn more about their classmates culture and help break any language barriers by teaching them greetings, phrases, and cooler lingo. Duolingo will partner with Delta on international flights via Delta Studio. This partnership will allow flyers to use a condensed version of the app to learn a few more words or just get a quick brush up on the language(s) of the country they are visiting.